Every Australian student deserves a quality education with access to the best teachers and resources. No-one would disagree with this lofty aspiration. But the Federal Government’s recent response to the Review of the National Curriculum gives us little evidence we are any closer to such a goal. Education Minister Christopher Pyne asserts that there is a need to ‘rebalance’ the Australian Curriculum and ensure it is ‘robust and relevant’. Much of the national curriculum is yet to be implemented so rebalancing might be a bit premature. However, I would like to comment on several of the minister’s March 5th announcements. Some seem to be at odds with each other and, in my opinion, advocate a further narrowing of the intended curriculum. Much has been written about a content-laden and overcrowded curriculum, especially in relation to the primary years. It is claimed that there needs to be a more explicit focus on literacy and numeracy in the early years. As Pyne puts it he wants more ‘basic literacy and numeracy’ taught, with no detail on what he means by ‘basic’ and how it could be taught. We give children real world reasons for needing to learn how to read and write these days. Each subject area makes different literacy demands. At the same time subject areas do not stand in discrete isolation from each other. So a fair amount of content is necessary, unless the intention is that we go back to meaningless literacy (and numeracy) exercises, which were never really very effective in the first place. The modern world is complicated and our children need to be able to respond positively to escalating change in knowledge. I believe we should be aiming for more than something labeled as ‘basic literacy and numeracy’. Phonics and phonemic awareness seem to be the panacea for the improvement of student literacy outcomes. Yet a knowledge of phonics and phonemic awareness will not make someone literate. Decoding letter sound relationships are only one aspect of learning to communicate through reading and writing. In any case the Australian Curriculum: English already includes a strong emphasis on phonics and phonemic awareness. This recommendation seems to be impossible and seems to work against some of the original intentions of a national curriculum. It implies a return to a weak and superficial 1950s type of Social Studies with no understanding of the knowledge base for these different disciplines. It appears to be another classic attack on the Social Sciences. This is based on how the national curriculum is being read or interpreted. The general capabilities and cross curriculum priorities were never intended to be seen as additional curriculum content. Rather they were to be seen as ‘lenses’ which teachers could use to plan to ensure that content was linked meaningfully to the real world across the learning areas and across the grades. So the development of cross curricula skills need to be emphasized rather than reduced. Everyone wants an inclusive curriculum that will enable all students to learn and develop. No argument there. But equitable access means some students will need more investment of expertise, time and resources. If the Federal Government is serious about this issue it will need to dramatically increase its specific funding for disadvantaged children and children with disabilities. Words make little difference here. Teachers welcome parent involvement and participation in their children’s schooling. Those of us involved in education know how important it is to educate parents to ensure they understand the intentions of the curriculum. This does not mean, however, that the curriculum needs to be over-simplified or ‘dumbed down’. As I see it, all of the above ignore the need for new and creative ways of thinking about curriculum and teaching methods. Worse, I believe they are likely to contribute to less equity, access, participation and therefore less social justice for many Australian children and young people. 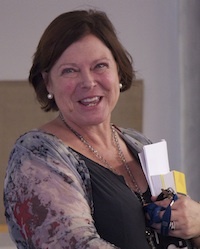 Initially a primary teacher, Robyn Ewing is currently Professor of Teacher Education and the Arts and Interim ProDean, Faculty of Education and Social Work, University of Sydney. She lectures in Curriculum, English, Literacy and Drama across pre-service and postgraduate teacher education programs and is passionate about the role that the Arts can play in transforming learning. Robyn’s teaching, research and extensive publications include a focus on the use of drama strategies with literature to enhance students’ English and literacy learning. Teacher education, especially the experiences of early career teachers and the role of mentoring, sustaining curriculum innovation and evaluation, inquiry & case based learning and the use of arts informed, particularly narrative, inquiry in educational research are also current research interests. She has worked alongside teachers in classrooms as a mentor since 1995 and is also working in partnership with Sydney Theatre Company on the School Drama project. She is National President of the Australian Literacy Educators Association, Vice President of the Sydney Story Factory Board and a Council Member of the Australian Film, Television and Radio School (AFTRS). Thanks Robyn for your thoughtful analysis of the review of the Australian Curriculum. Resisting the pressure of a quick fix never ceases. There are so many well-learned lessons we should hold on to that can be built on rather than pedalling the tired old message of ‘back to basics’. I look forward to reconnecting to your fine work once again now that I’ve returned to live in Australia after 6 years in the UK. Thank you for this concise and insightful response to Pyne’s review. As someone working in teacher education, it is so frustrating to watch policy go in the opposite direction to the well-researched and increasingly proven examples of the type of education required to help students meet the challenges of their globalised, 21st century world. On the same day, I read this article, I also read this http://www.independent.co.uk/news/world/europe/finland-schools-subjects-are-out-and-topics-are-in-as-country-reforms-its-education-system-10123911.html. Anyone want to go to Finland?